Thats all. Game finished - Manchester United 0, Barcelona 1. Second Half ended - Manchester United 0, Barcelona 1. Missed chance. Chris Smalling - Manchester United - shot with left foot from the right side of the box goes high . Substitution - Barcelona. Carles Aleñá for Sergio Busquets. Paul Pogba - Manchester United - won a free kick in defence. Andreas Pereira - Manchester United - won a free kick in defence. Chris Smalling - Manchester United - receive yellow card for a foul. Luis Suárez - Barcelona - won a free kick in attack. Substitution - Manchester United. Andreas Pereira for Marcus Rashford. Corner - Manchester United. Conceded by Gerard Piqué. New attacking attempt. Lionel Messi - Barcelona - shot with left foot from outside the box is saved by goalkeeper in the centre of the goal. Nélson Semedo - Barcelona - won a free kick in attack. Clément Lenglet - Barcelona - won a free kick in defence. Jesse Lingard - Manchester United - receive yellow card for a foul. Arturo Vidal - Barcelona - won a free kick on the left wing. Substitution - Manchester United. Jesse Lingard for Diogo Dalot. Corner - Barcelona. Conceded by Fred. Arturo Vidal - Barcelona - receive yellow card for a foul. Fred - Manchester United - won a free kick in attack. Missed chance. Marcus Rashford - Manchester United - shot with right foot from outside the box goes high from a free kick. Paul Pogba - Manchester United - won a free kick in attack. Substitution - Manchester United. Anthony Martial for Romelu Lukaku. Luis Suárez - Barcelona - won a free kick on the right wing. New attacking attempt. Jordi Alba - Barcelona - shot with left foot from a diffucult position on the left is saved in the left corner. Assist - Luis Suárez. Substitution - Barcelona. Sergi Roberto for Arthur. Substitution - Barcelona. Arturo Vidal for Coutinho. Missed chance. Luis Suárez - Barcelona - shot with right foot from the right side of the box is close, but missed. Assist - Nélson Semedo with a through ball. Shot blocked. Fred - Manchester United - shot with left foot from outside the box is blocked. Assist - Paul Pogba. Marcus Rashford - Manchester United - won a free kick on the right wing. Shot blocked. Fred - Manchester United - shot with left foot from outside the box is blocked. Missed chance. Marcus Rashford - Manchester United - shot with right foot from the centre of the box missed. Coutinho - Barcelona - won a free kick in defence. Corner - Manchester United. Conceded by Jordi Alba. Second Half starts Manchester United 0, Barcelona 1. First Half ended - Manchester United 0, Barcelona 1. Missed chance. Luis Suárez - Barcelona - shot with right foot from the centre of the box missed. Assist - Coutinho. Corner - Barcelona. Conceded by Ashley Young. Offside - Manchester United. Paul Pogba with a pass, however Marcus Rashford is in offside. Offside - Manchester United. Diogo Dalot with a pass, however Romelu Lukaku is in offside. Missed chance. 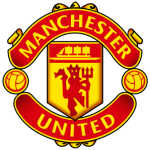 Diogo Dalot - Manchester United - header inside of six yard box - left side missed. Assist - Marcus Rashford with a cross. New attacking attempt. Coutinho - Barcelona - shot with right foot from the centre of the box is saved by goalkeeper in the centre of the goal. 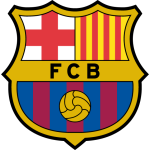 Delay in match Lionel Messi - Barcelona - - injury. Missed chance. Marcus Rashford - Manchester United - shot with right foot from outside the box is high and wide to the right. Assist - Paul Pogba. Luke Shaw - Manchester United - receive yellow card for a foul. Missed chance. Ashley Young - Manchester United - shot with right foot from outside the box missed. Sergio Busquets - Barcelona - receive yellow card for a foul. Own Goal by Luke Shaw, Manchester United. Manchester United 0, Barcelona 1. Missed chance. Luis Suárez - Barcelona - shot with the head from the right side of the six yard box missed to the left. Assist - Lionel Messi. Sergio Busquets - Barcelona - won a free kick in defence. Missed chance. Marcus Rashford - Manchester United - shot with right foot from outside the box is close, but missed to the left from a free kick. Scott McTominay - Manchester United - won a free kick in attack. Get real-time football commentaries and full coverage for the Champions League match Manchester United vs. Barcelona, powered by Scorenga.co.uk. This page is dedicated to one of the most exciting Champions League clashes. Here you will find a summary of the game, standings and photos.